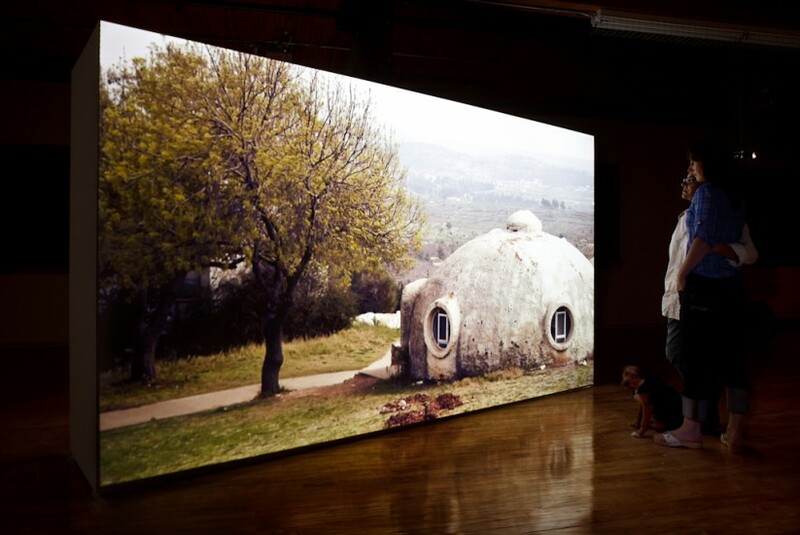 Mercer Union is delighted to host a studio tour with Public Studio, the collective art practice of filmmaker Elle Flanders and architect Tamira Sawatzky. Open to Sustaining Members and above, other Mercer Union members and non-members may attend for $25 (can be pledged towards the purchase of a Sustaining Membership). Refreshments will be served. RSVP to York Lethbridge at york@mercerunion.org or by calling 416.536.1519. Space is extremely limited – reply today to avoid disappointment. Public Studio employs a diverse range of media resulting in large-scale public art works, films, immersive installations, lens-based works and socially engaged projects. Public Studio explores the intersection of art and architecture, urbanization and industrialization with a particular focus on landscape and the effects of war in the everyday. Recent work includes: The Dialogues, a series of short videos displayed in underground subway stations for the Toronto Urban Film Festival; Drone Wedding, an eight-channel video work for the Ryerson Image Centre; What Isn’t There, a 15-year ongoing photo installation project that documents Palestinian villages that no longer exist; Road Movie, a six screen installation on the segregated roads of Palestine that premiered at TIFF (2011) and the Berlinale (2012); and Kino Pravda 3G, a series of video installations addressing current public dissent and protests across the globe. Flanders and Sawatzky are currently working on a large-scale public art installation in Toronto launching in 2015. Elle Flanders is a filmmaker and artist based in Toronto. She was raised in Montreal and Jerusalem and holds both an MA in Critical Theory and an MFA from Rutgers University. She holds a PhD in Visual Arts and is an alumnus of the Whitney Independent Study Program where she mentored with Mary Kelly and Martha Rosler. Flanders’ work has been screened and exhibited internationally including: the Museum of Modern Art; Berlin International Film Festival; The Toronto International Film Festival, MOCCA and the Incheon Biennial. Tamira Sawatzky is an architect and artist working in Toronto. She worked for the award-winning firm MacLennan Jaunkalns Miller Architects from 1998 to 2010. She founded her independent practice, Public Studio Architecture, along with Public Studio in 2010.